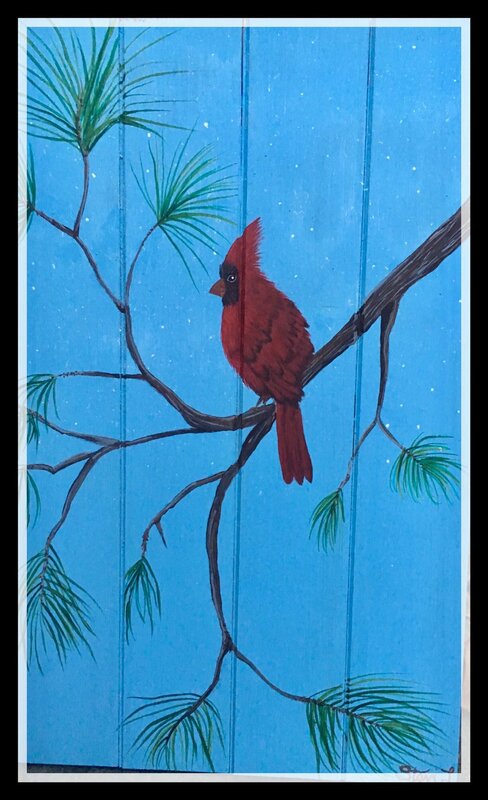 We’re shaking it up a little with this sweet winter cardinal pallet painting. Many stories surround this little bird. One is that when a cardinal appears you’re being visited by a loved one who has passed. Other’s believe they bring wishes of good health, renewal and happy, healthy relationships. This cherished painting can be used as a lovely decoration though the winter or gift for someone with a hope of good health for the months to come. Space is limited to register today! Grab a friend and join us! pallet, paints and light snack will be provided, bring your beverage of choice.